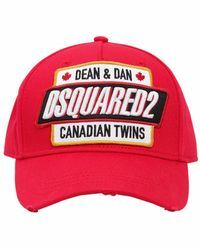 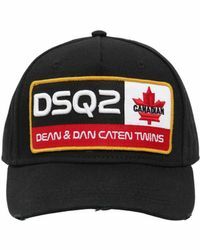 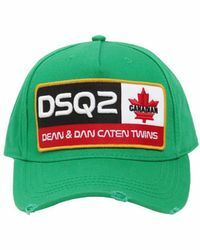 Dean and Dan Caten launched their fashion brand, DSquared² in New York City in 1984. 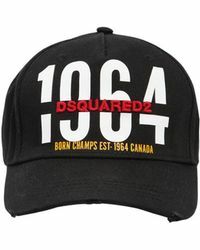 Since moving to Italy in 1994, the label combines Canadian laid-back cool and fine Italian tailoring that results in a rich creative mix of sharp edges and innovative finishes. 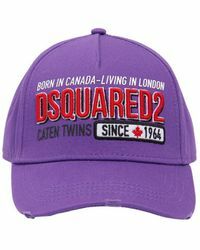 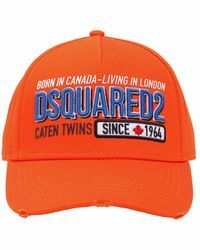 DSquared² hat range features felt and tweed baseball caps, silk hats inspired by competitive horse-racing, ribbed winter styles and chunky-knit beanies with jewel embellishments.